This packet sows up to 153 feet. 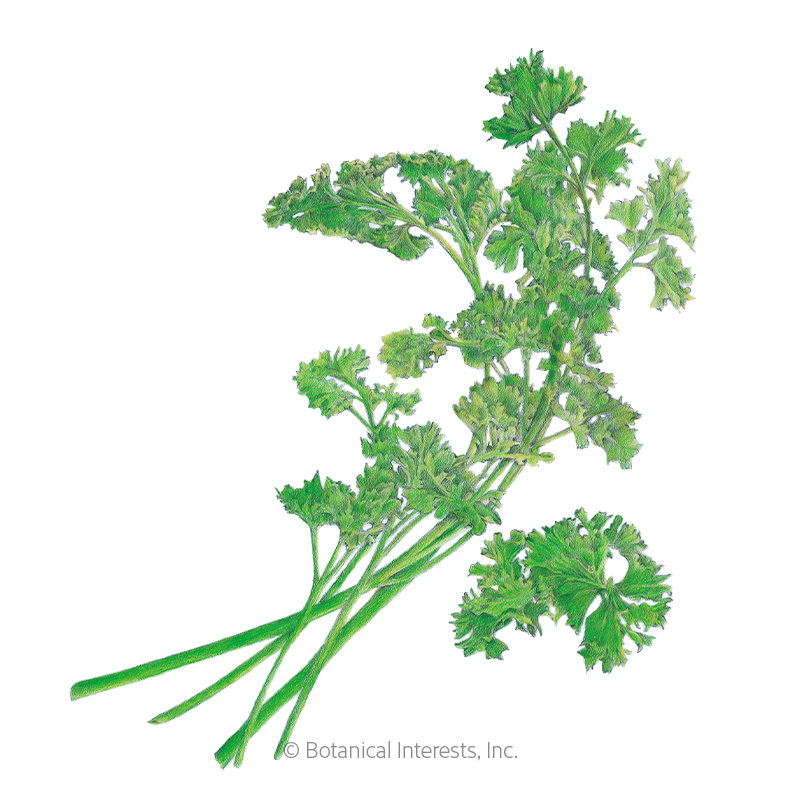 Grown as an annual, 'Moss Curled' parsley can grow through fall and into winter because of its cold tolerance. It has a milder flavor than flat-leaved types and can enhance almost any food, in flavor and in beauty. 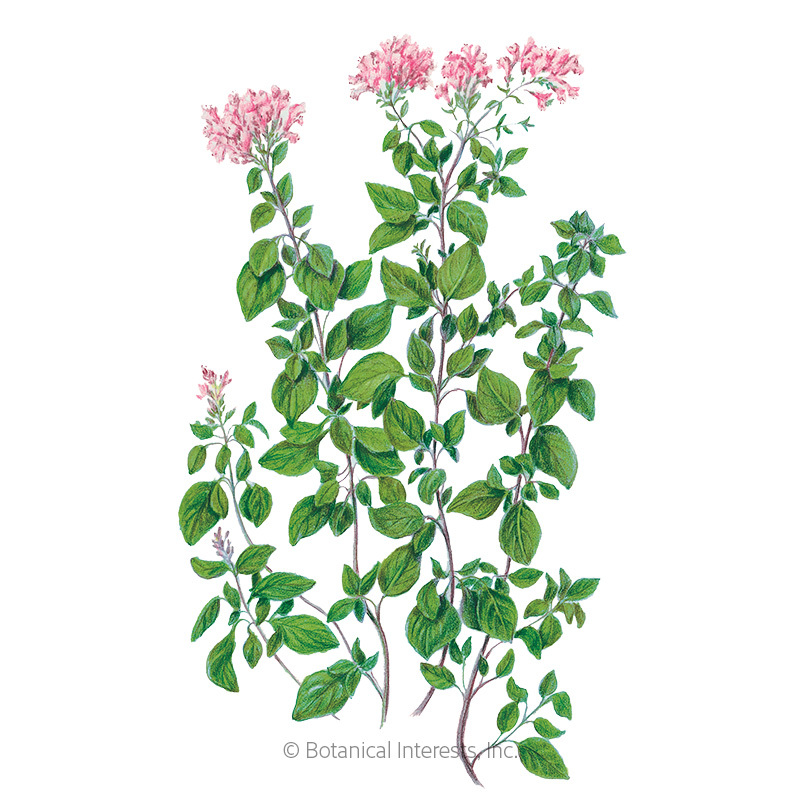 It is a very nutritious herb (vitamins A, B, C), and freshens breath. 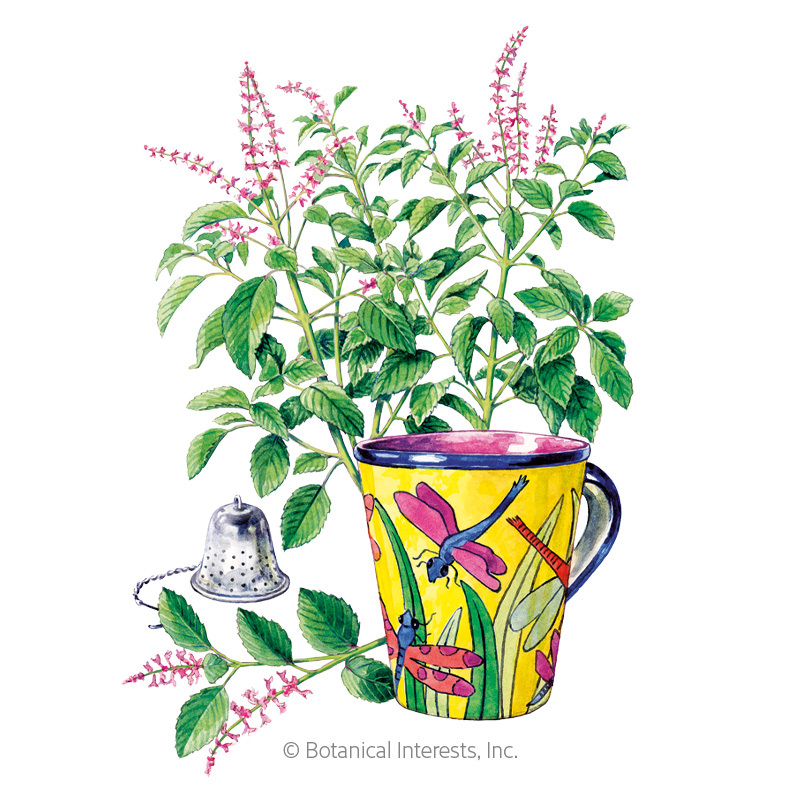 Pair with flowers in ornamental plantings, and grow indoors in the winter! 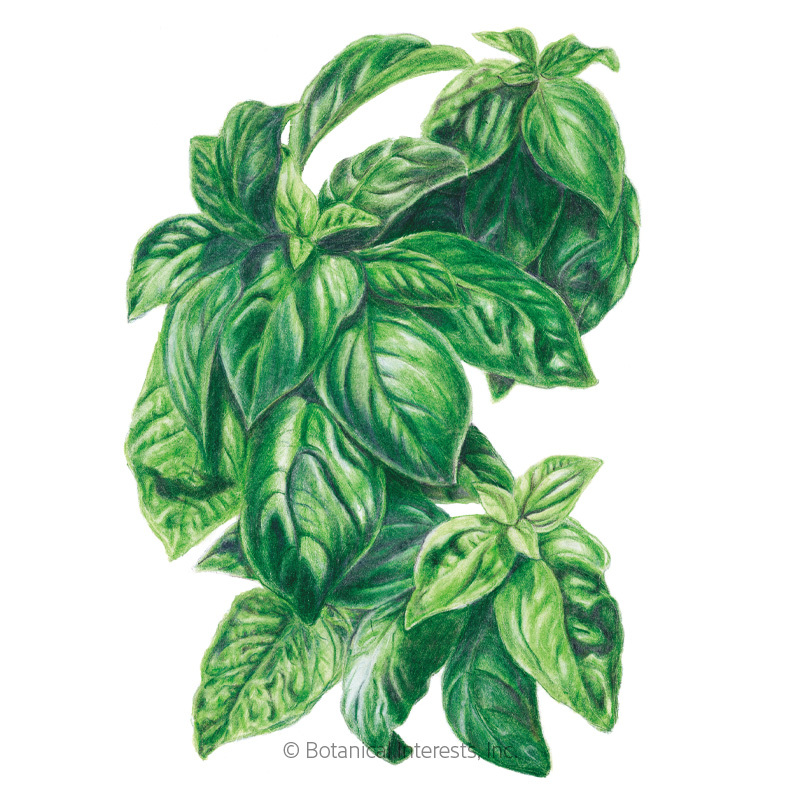 Hardiness: Biennial grown as an annual because the best flavor comes from first year leaves. Leaves become bitter when flowers appear in the second year. 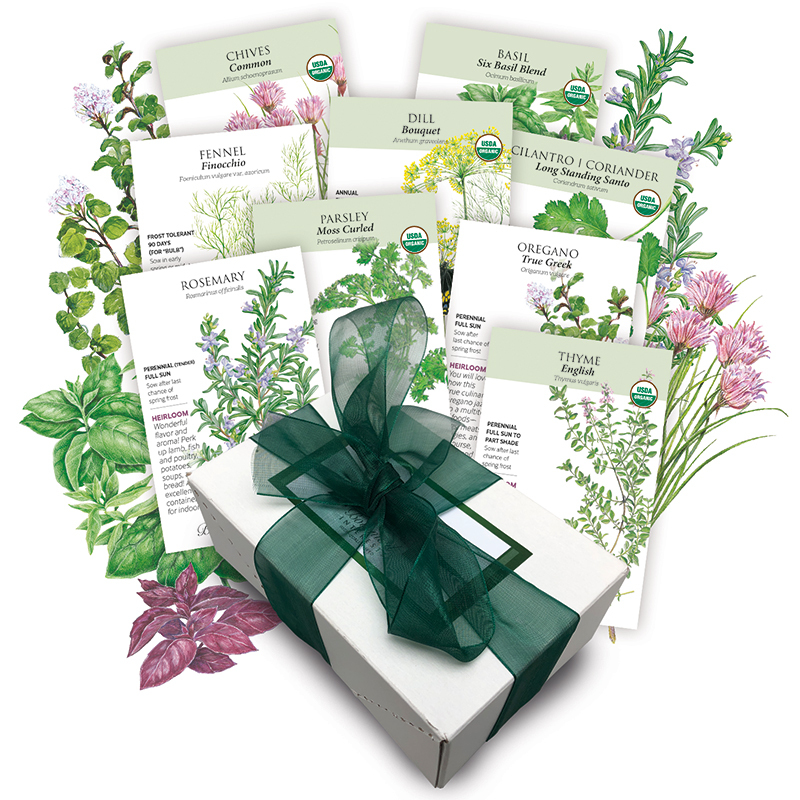 Variety Information: Mounding plants with dark green, deeply cut, curled leaves with a milder flavor than flat-leaf types. When to Sow Outside: RECOMMENDED. 4 to 6 weeks before your average last frost date, or as soon as the soil can be worked; when soil temperature is 50°–85°F. Seed Spacing: A group of 3 seeds every 8"
Thinning: When 1" tall, thin to 1 every 8"
Harvesting: Pick as needed, removing entire stalks to the ground, but not removing more than 1/3 of the plant.